What an aspiring pilot goes through to finally get the license to soar hundreds to thousands of feet above ground is not easy. For some it is a hobby, for many it is a career. Being a pilot opens a lot of opportunity to earn big. However, aside from the physical and mental demands that come with learning to fly, acquiring a certificate to fly, and flying to earn; the amount one has to shed is financially demanding likewise. That said, it is best to save up for aviation college and be prepared for flying lessons cost. Not all who dream to fly has a flying career on mind. For this purpose, one could choose between a Federal Aviation Administration (FAA) approved and non-approved flying school. An FAA approved institution would charge around $8,000-$15,000 dollars, which includes the basic learning supplies, airplane unit cost, flight cost, written test cost, flying lessons cost, and other requirements essential to acquiring a private pilot certificate. In many cases, flying lessons not approved by FAA are offered on most decent sized airports. This set up allows the student to choose among the airplanes available to practice on, which could cost as low as $90/hour. Licensed flight instructors vary in charges and could go as low as $25/hour. The hours it would take to learn how to fly depends on the interaction between instructor and students. Additional equipments such as headsets, charts, books, and medical certificate cost around $300. FAA certification costs about $250 to get a private license. For non-approved flying school learners, the license stops here. Approved aviation college flying learners have an option to go onwards and earn. For those who choose the career path, a commercial pilot license must be acquired. While a private pilot license requires 60-70 hours of flight time, obtaining a commercial pilot license requires a total of 150 hours. According to an aspirant’s dedication, this type of license could be completed in as fast as 6 weeks. 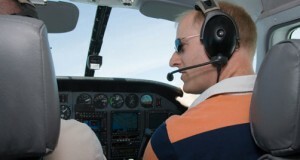 The cost of flying hours depends on the type of aircraft used and instructor fee. C125 dual training costs about $160/hour, C172 dual training $180/hour, C152 solo training costs around $110/hour, and C172 solo training around $130/hour. To prepare one’s self for a 100 items knowledge test, a 3-day commercial pilot license written seminar is conducted at $450 and an additional $85 for the course manual. In some cases, ground briefing may also be needed, which costs about $50/hour. Remember that a private pilot’s flight is not compensated whereas a commercial pilot can be hired as pilot in command of a single aircraft or as co-pilot of bigger aircrafts. Earning pilots learn the biblical phrase “you reap what you sow” in their quest to obtain a substantial earning through flying. Whatever aviation college you choose to enroll in, determination plays a big role in mitigating flying lessons cost. Determination causes one to absorb lessons and instructions faster and easier. Instructors are paid by the hour therefore the faster you learn, the lesser hours required to for an instructor. Study lessons in advance and constantly visualize the manual and practical aspects of flying an aircraft. Preparing for a ground and flight test will help you complete your requirements as well.